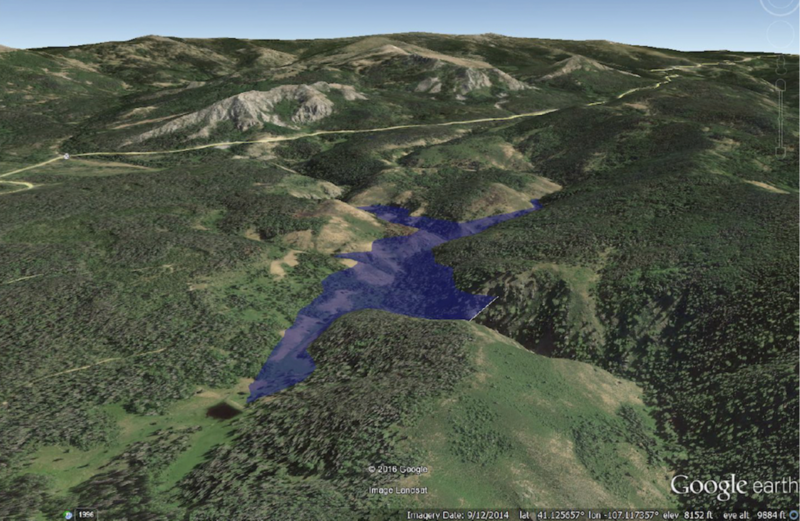 Proposed dam site on West Fork of Battle Creek, Little Snake River watershed S. of Rawlins, Wyoming via the Wyoming Water Development Office. Dam backers also must figure out whether Wyoming and Colorado’s new governors — both of whom were elected in November — will support the project and to what degree. Wyoming Water Development Office Director Harry LaBonde said he continues to work with his counterpart in Colorado to obtain support and money but the election means dam backers have to undertake a new round of lobbying. “Every time there’s a new governor, all those conversations start over,” he said in a telephone interview. To build Colorado support, Wyoming officials took members of the Colorado roundtable on a tour of the dam site and surrounding area last summer. LaBonde drafted a letter of support that the Colorado group could consider signing its name to in late November, group chairman Jackie Brown said. “We require[d] that,” she said of the draft correspondence. LaBonde’s version stated that the project would have $92 million in benefits. It said the Wyoming Legislature has already appropriated $11.3 million to build the dam and that Colorado irrigators could have a chance to buy some of the stored water. The $11 million figure comes from a $7 million planning appropriation, very little of which was used, plus the conditional $4.7 million appropriation earlier this year. “As the project is currently configured approximately 4,000 – 5,000 acres of irrigated lands in Colorado would be potentially eligible to purchase supplemental irrigation water from the project,” LaBonde’s draft said. The Colorado roundtable adopted most of the proposed language. But “the group stopped short of supporting the project,” LaBonde said, backing an investigative process only. The proposed dam on the West Fork of Battle Creek would serve 67 to 100 irrigators, studies commissioned by the Water Development Office say. The most likely beneficiaries in Colorado would appear to be members of the Pot Hook Water Conservancy District that joined the Savery-Little Snake district in applying for the $1.2 million federal grant. That district appears to be relatively small. In 2017 it held a successful election to impose a four-mill property tax that would raise $12,831.48 in 2018, and similar amounts in subsequent years. The tax money will “meet the future needs of landowners within the district” and “proactively protect … existing water rights,” according to a description of the measure. It passed on a 13-7 vote. O’Toole agreed with LaBonde that the fresh administrations in Cheyenne and Denver will require a renewed effort securing support — support that backers couldn’t find in their home House of Representatives. “I’m going to watch and see who gets picked for positions and go from there,” O’Toole said. Among the considerations is the announced retirement of Wyoming State Engineer Pat Tyrrell who has held the cabinet-level position since 2001. A gubernatorial appointee who’s considered the state’s water czar, his office resolves conflicts among users and represents Wyoming during inter-state negotiations. When Tyrrell retires in January, he will have served under four governors. Meantime, conditions in the Little Snake River Basin are deteriorating, O’Toole said, as a 19-year-drought is forcing water users to plan for shortages. “We saw the [Little Snake] River in a state I’ve never seen,” he said. 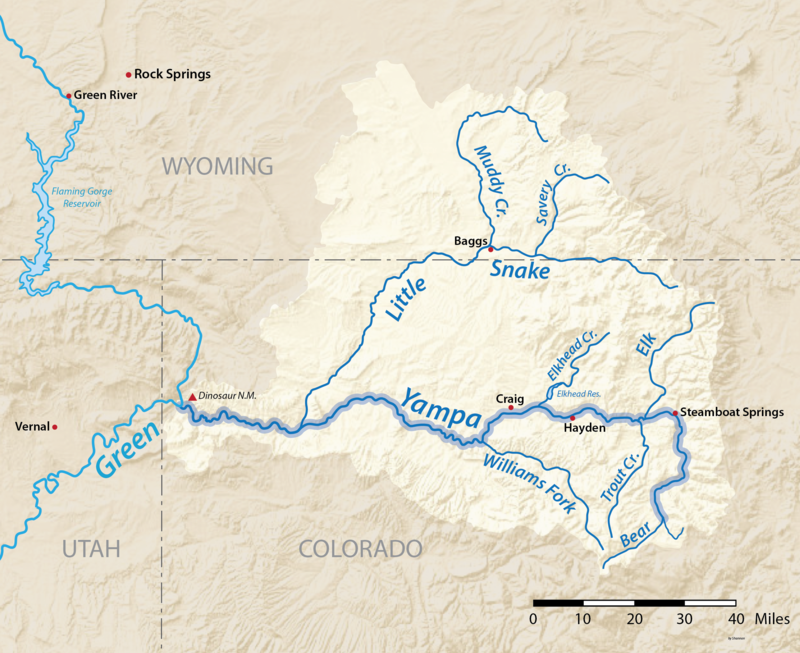 This summer, for the first time ever, there was a call for regulation on Colorado’s Yampa River as water users asked state regulators to enforce prior appropriation doctrine and law. Those ensure that during low flows the holders of earlier water rights get their allocation before holders of more recent rights can divert river flows. West Fork Dam supporters want a land exchange that would give Wyoming some 100 acres of federal property in the Medicine Bow National Forest to construct the proposed dam and impound the reservoir. Such a deal would exempt the project from some aspects of the demanding NEPA process, likely making it easier to accomplish. So far, the federal agency hasn’t received any formal requests for development, forest spokesman Aaron Voos said in a telephone interview from forest headquarters in Laramie.